Hello and welcome to this week’s PJT. 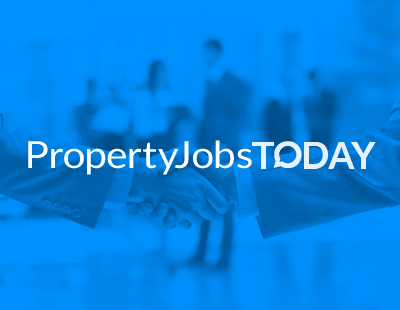 Everyone here let us know about their jobs news by emailing press@estateagenttoday.co.uk - please do the same and we’ll let the industry know about your news. Let’s start this week with arguably the best known name in agency and property industry research - Richard Donnell - who now takes his place at Zoopla’s top table. Having been the Insight Director at Zoopla-owned Hometrack for 13 years, he now takes up the title of Research and Insight Director at Zoopla itself, where he joins the executive team. Richard became well known and hugely respected during his 12 years at Savills where, alongside Yolanda Barnes, he built a successful research and consultancy business that was at that time regarded as the best in the industry. Developing the work he undertook during his 13 years at Hometrack, he will now work on innovations in data and analytics “to enhance Zoopla’s products to new forms of market insight aimed at helping agents and developers to become more successful and to better inform consumers on the latest market trends” according to a statement from the portal firm. Now let’s switch to the residential and commercial firm Bond Wolfe Auctions which has unveiled its busy Midlands team. It’s a newly-organised team including four brand new recruits. In the picture here we see from the left Sue Randell, marketing director; Ron Darlington, consultant director; Teresa Allen, accounts manager; Jonathan Hackett, consultant director; Perm Daley, auction manager; Gurpreet Bassi, chief executive; Ian Tudor, managing director; Aimee Rossiter, assistant auction manager; James Rossiter, auction valuer; Kylie Pearson, executive PA; and Damien Triplett, auction negotiator. The team behind Bond Wolfe Auctions produced the largest-ever Midlands’ auction – 172 lots in May 2018 - and hasn’t held an auction below 100 lots or achieved a sales success rate below 80 per cent in over three years. Up in Newcastle, Knight Frank Newcastle has welcomed two new recruits and marked a retirement. Ronald Harris retires after working for the company for 23 years, having started his career in the industry with Storey Sons & Parker. Becky Gaughan has joined as an associate in the property valuation and advisory team, with Hannah Ives joining the office agency team as a graduate. Finally this week, some PropTech jobs news. Smart365, a mortgage platform, has announced the appointment of Mark McKenna to the role of commercial director responsible for new business growth and sales. Prior to joining Smartr365, Mark was managing director at Filed, an AI marketing automation company, where he was responsible for the company’s growth strategy and global sales pipeline. So that’s it for this week. We’re back next Monday - perhaps with news of moves in your company, so please keep in touch!